Can you see him in the reflection? 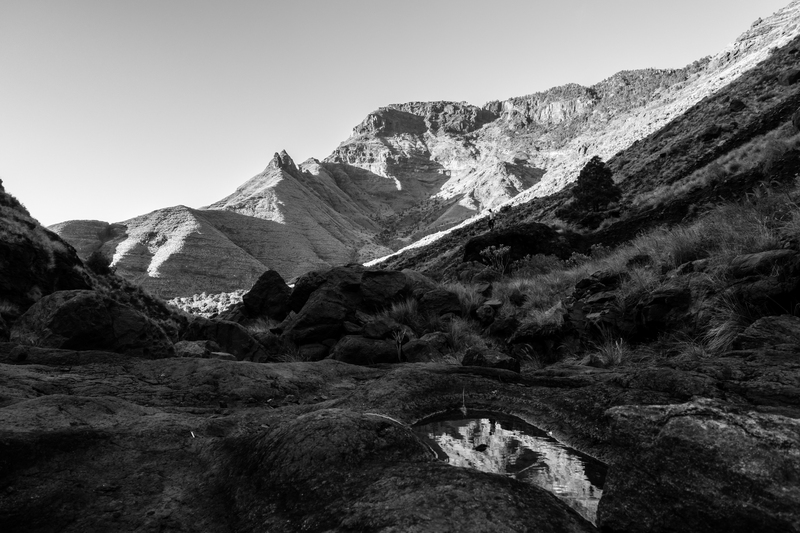 On the way to Charco Azul in Gran Canaria, Canary Islands. I can feel the solitude of these mountains. The black&white really works on this photo.